There was no doubt what Melissa Benoist as Kara Danvers aka Supergirl would add to the CW line-up after moving from CBS. 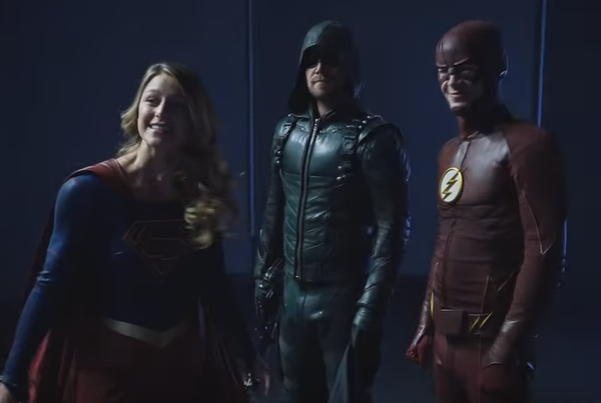 Her infectious enthusiasm and joy are evident in the newest promo that follows up the first Superhero Fight Club video from last season where all the CW heroes went toe-to-toe. See it below. The rest of the video can be seen on the CW App. The Flash returns Tuesday, Arrow on Wednesday, Supergirl is back on Mondays beginning Oct. 10, and Legends of Tomorrow returns Thursday, Oct. 13, all at 8 p.m. on The CW.